Beef jerky is one of my guilty pleasures and I am happy to report that I finally learned to make them at home! Using my oven at low temperature to dehydrate racks after racks of marinated bulgogi beef was tortuous. The aroma just kept teasing me for hours. 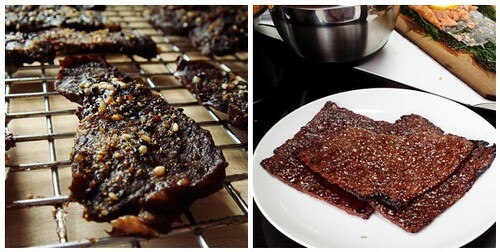 For something much quicker, I used a grill for the first time in my life to make Singapore-style grilled beef jerky (bakkwa). There is something primitively attractive about grilling. I haven’t caught the grilling bug yet but who knows what future will bring? 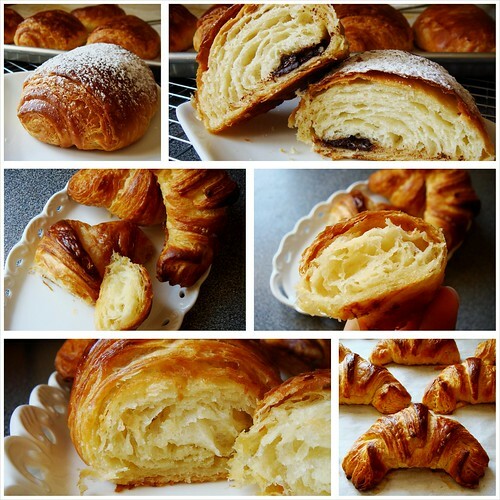 Discovering a new favourite ingredient is exciting as I learn to bake with it in unexpected ways. In 2014, my baking took a turn for the better when I experimented with Japanese toasted soybean flour, kinako. This naturally gluten free flour has a lovely toasty nutty taste, reminiscent of peanut flour. 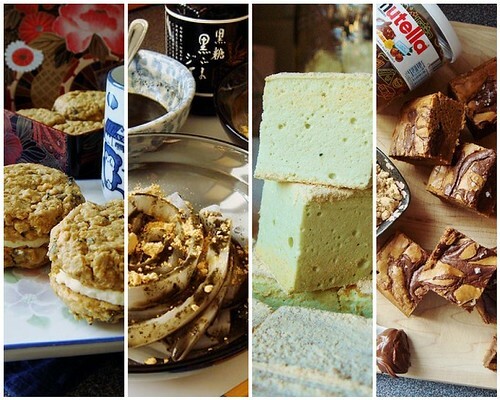 I used it in traditional kuzumochi, dusted matcha marshmallows for an extra layer of flavour, made kinako blondies with Nutella swirl, created my own kinako nori sesame sandwich cookies with miso buttercream, and turned the familiar chocolate chip cookies into something special. Kinako inspired me to create more of my own original recipes this year. It is my on-going quest to improve my Chinese home-cooked meals. I want to be able to make food that my mother and grandparents used to cook. 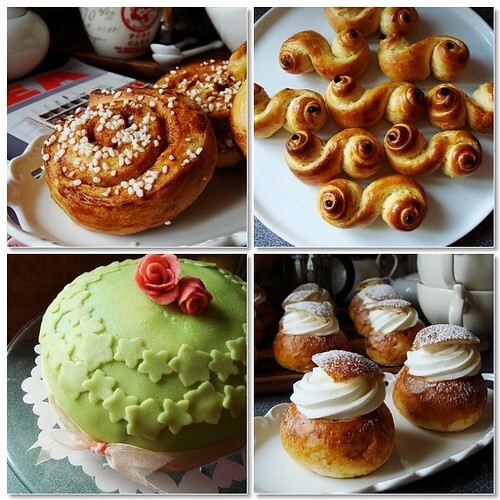 I want to pass on to my family the food memories that I was generously given. 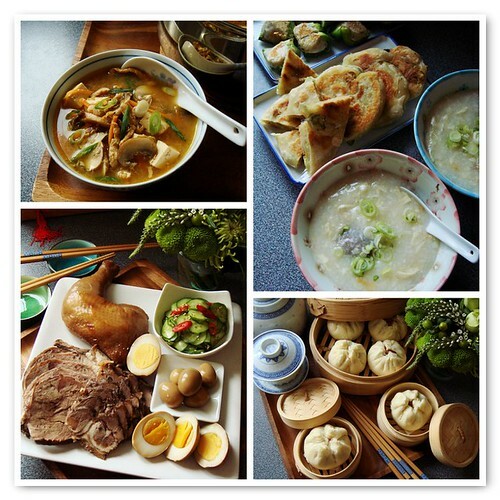 This year I organized my budding collection of recipes into a self-published cookbook Chinese Homestyle Dishes. It includes some of my favourites such as soy sauce marinated assortment and steamed char siu bao (Cantonese barbecue pork buns). Of course, learning is not always smooth sailing. This year I made completely inedible green onion pancakes that I have yet to master. On the flip side, homemade hot & sour soup is a total winner and I learned to wrap dumplings using round wrappers. That means I can wrap dumplings in two different styles at last! Slow cooker may not be the most fashionable appliance in the kitchen but it is definitely a workhorse. This year I continued to explore all that it can do with the help of Slow Cooker Revolution book 1 and 2. 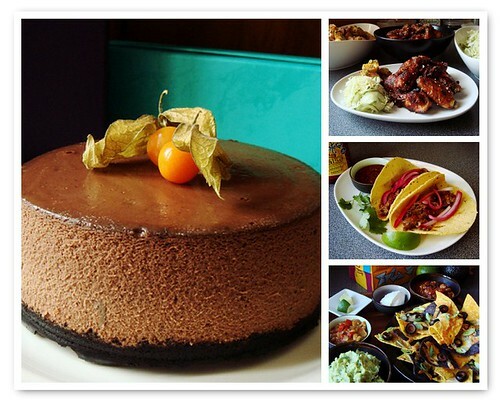 It makes the most luscious cheesecake, fall-off-the-bone tender sticky Asian wings, no mess cochinita pibil, and of course the always reliable chilli, pulled pork, and overnight oatmeal (even when I was cooking in the paddock of F1 racetrack). I only deepfried once in 2014 but it was for something I never thought I could make at home. 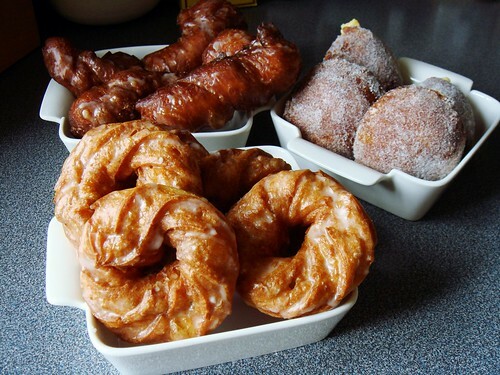 When you combine choux paste and a big vat of hot oil, you get the light and airy French crueller doughnut! There is a simple trick to get the distinctive ring with ridges. One of those why-did-I-not-think-of-it moments for sure. Speaking of choux, here is the showpiece I am ridiculously proud of. 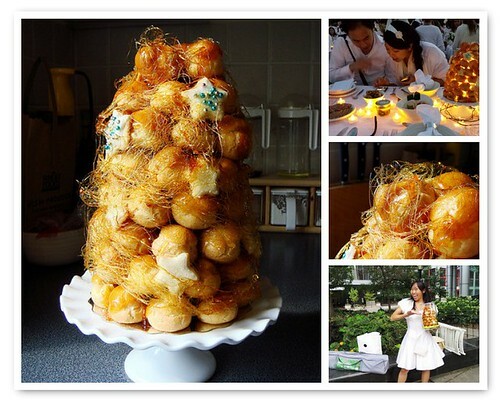 I made a proper croquembouche and dragged it with me to Diner En Blanc’s outdoor picnic! The tower of custard-filled cream puffs was glued together with crunchy caramel and draped with a net of spun sugar. As if it was not dramatic enough, I wired LED lights inside the hollow middle so it lit up during dinner! Definitely one of my highlights of 2014. 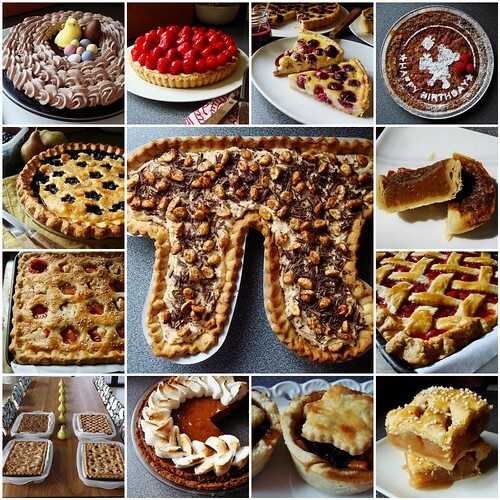 | made more pies in 2014 than I thought possible for someone who was never good at making pies. Learning to make J. Kenji López-Alt's vodka foolproof pie dough was the game changer for me. The consistently flaky result helped me overcome my fear of handling pie dough. From that one master recipe, I learned to make slab pies for crowds, individual maple butter tarts to honour my Canadian roots, fussy little mincemeat pies to celebrate British tradition, and took my annual summer wild blueberry pie to new heights. I also took baking class from Momofuku’s Christina Tosi for her signature crack pie. I learned to fit pie dough into a non-traditional shape for a novelty Pi Pie. I used my Thanksgiving pumpkin pie as canvas to practice piping skill with the St Honore tip. At one point I claimed that I would never make pies ever again. Yeah, right. When I said I jumped feet first into the world of confectionery, I was not joking. I dabbled in candy making every so often but 2014 was the year it truly became part of my specialty. Learning from The Liddabit Sweets Candy Cookbook and being able to confidently temper chocolate were turning points. I marvelled at the subtle changes in cooking temperature that could transform sugar into completely different guises. I cursed at chocolate that stubbornly refused to temper. 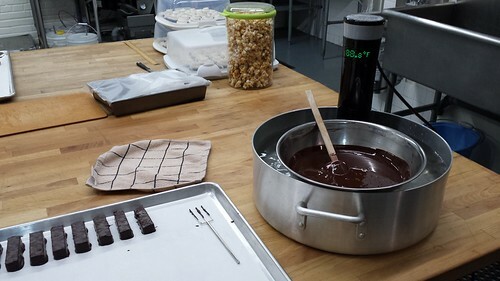 I discovered the joy of using sous vide to hold my chocolate in temper. Marshmallow, nougat, caramel, pate de fruit, chocolate chews, whimsical chocolate bar, candied nuts, brittle, toffee, I made them all. In December 2014, I officially launched Candy By Candy and set up my first pop up shop. You haven’t heard the last of Candy By Candy yet, I promise. 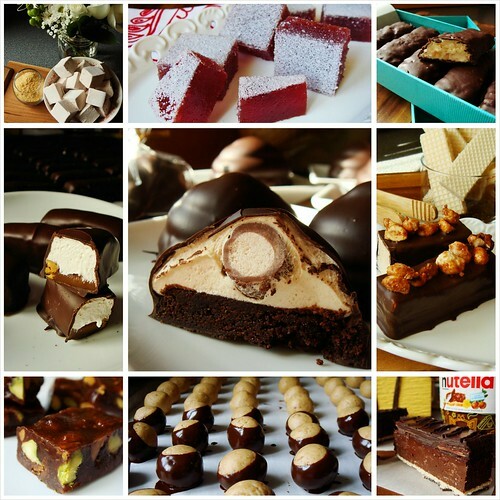 Next year, Dessert By Candy turns 10, on the cusp of becoming a teenager. I am in disbelief that a fun little hobby continues to this day. Thank you and I hope to bring you more cooking adventures for years to come!